Keith Hann - Why Oh Why? : Refugees welcome? There are many excellent reasons for not attempting a column on the refugee/migrant crisis in Europe and the Middle East. For a start, my own wife was once a refugee from the Iran-Iraq war, and if I offend her I will surely end up cooking my own dinners for the foreseeable future. Even if by some miracle I avoid upsetting her, I am sure to outrage someone. 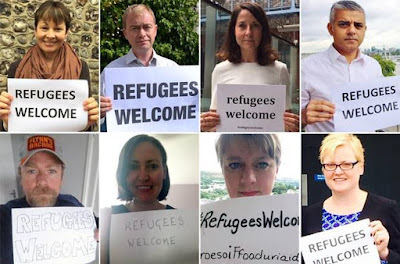 The left-leaning bodies from which I receive most of my news (the BBC and Twitter) assure me that there is a massive groundswell of public support for allowing many thousands more refugees into the UK. Yet while only the most notorious internet trolls would dare to suggest that a certain number of drowned children are an acceptable price to pay for ring-fencing our own home comforts, I suspect that there is a large and largely silent section of the populace regarding Mr Cameron’s latest PR-driven U-turn with deep suspicion. The same sort of people who nod enthusiastically when they hear Jeremy Corbyn speaking, then quietly vote Tory in the privacy of the polling booth. However, the most powerful reason of all for keeping shtoom is that I have absolutely no idea how this crisis can be resolved. Unfortunately, neither has any government, opposition or supra-national authority I have heard pontificating on the issue. 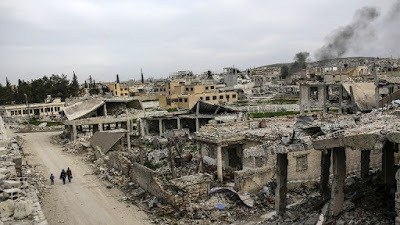 The best we seem able to come up with is dropping more bombs on an already bombed-out country. Because clearly we made a mistake two years ago when Parliament would not let us bomb the evil dictator Assad. Now it seems we mainly want to bomb the evil dictator’s opponents in ISIS, ignoring the ancient and Churchillian dictum that my enemy’s enemy is my friend, however repulsive we may find him. Given that military interventions in Afghanistan, Iraq and (in a smaller way) Libya all seem to have made things worse rather than better for the bulk of their people, I cannot help wondering what useful lessons have been learned along the way. There are two key emotions driving all human conduct: greed and fear. Politicians and commentators attempt to divide those currently on the move into refugees driven by fear, with whom we are meant to sympathise; and economic migrants driven by greed, who can be sent back whence they came without compunction. Yet the distinction can never be so clear. 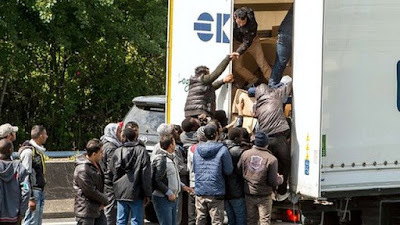 It is evident that the preference for Greece over Turkey, Germany over Hungary and Britain over France, for those encamped at Calais, has nothing to do with fear of persecution if they stay put. Family ties apart, the motivation can surely only be the hope of a materially better life in their country of choice. It is also a plain fact that those on the move are far from the poorest of the poor. Revolutions rarely occur when people are cruelly oppressed, but when the oppressor lifts their yoke. Similarly, mass migrations are not undertaken by those with no money, but by those with smartphones to see the better life available in the West, and enough cash to pay people smugglers to get them here. 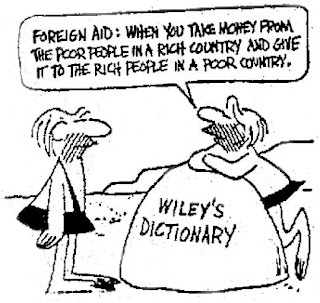 I feel a bit queasy about part of the foreign aid budget being redirected from the poorest in the world to those with the pluck and push to get themselves into the UK. 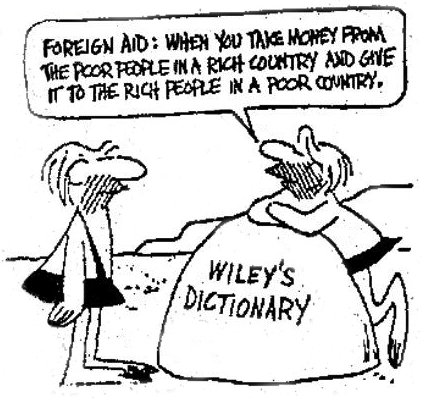 Though admittedly not as queasy as I would be if I did not suspect that a fair chunk of the aid budget simply flows into the Swiss bank accounts of assorted Third World tyrants. I really am not unsympathetic to those fleeing Syria, Afghanistan, Eritrea or any of the other failed and failing states that are currently fuelling mass migration. I dare say I would do the same in their shoes. But all of us already here, whether of Celtic or Norman stock or first generation immigrants, must recognise that a free-for-all on our borders is not compatible with the continuance of a functioning welfare state. 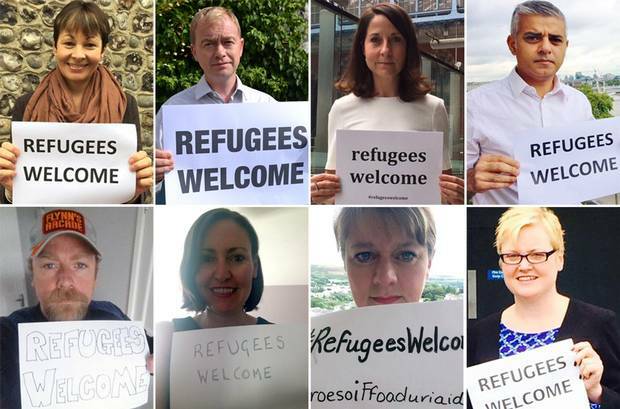 Where we come down on that issue is a matter for our individual consciences, and I wish those hashtagging #refugeeswelcome and offering shelter in their own homes the very best of luck. My own conscience is clear. I have done my bit. Reader, I married her.